Supplements tend to fall within three rather distinct categories: those that enhance health, those that increase function, and those that improve body composition. Each of these hold importance in the supplement world, offering a way to help people meet their goals in an efficient and effective manner. But it is important to note that there are a select few supplements that actually fall into two or more of these categories, offering an extremely efficient way of boosting all aspect of health, function, and body composition. The holy grail of supplements, if you will. Which is exactly where MCT Oil Powder enters the discussion. 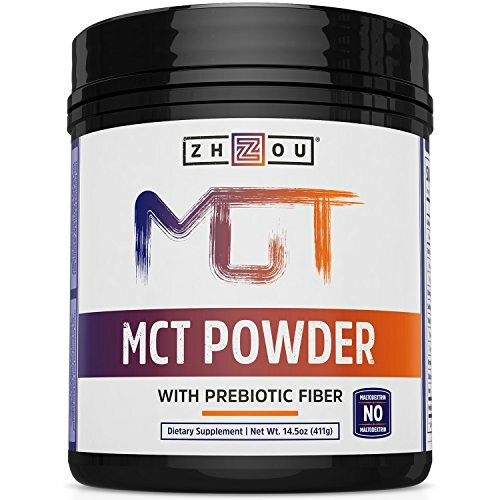 In short, MCT Oil powder is a powdered form of medium-chain triglycerides (or MCTs for short). Medium chain triglycerides are a unique type of fat that are found naturally occurring in foods such as coconut oil. MCTs have made a bit of splash within the health industry of late, because they are actually metabolised differently to the long-chain triglycerides (LCT) found in most other foods. With this it’s important to note that triglyceride is simply the technical term used for fat. These compounds essentially have two roles within the body: to be metabolised for energy, or stored as fat (where they can then be used for energy production at a later date). In a technical sense, LCTs are 13–21 carbon molecules in length, while MCTs contain only 6–12 carbon atoms. And this is actually where MCTs provide their unique benefits. Because of their shorter length, MCTs are rapidly broken down and absorbed into the body, where they are then transported straight to the liver. Once in the liver they are immediately broken down for energy, where the body then proceeds to produce ketones as a by-product of this process. Now ketones are unique compounds that are used by the brain to produce energy – offering a host of further benefits. And finally, as MCTs are more efficiently turned into energy and used by the body, they are not stored as fat! So, you might be wondering why you would choose MCT powder over our more traditional MCT oil – a very good question that has a very simple answer. MCT Oil Powder can be easily mixed with a beverage or shake, where it adds a delicious creamy flavour to the mix. Moreover, many people can experience gut issues when consuming pure MCT oil. But the powders appear to be much better tolerated. What are the Benefits of MCT Oil Powder? We have taken on objective look at the research to determine where MCT oil powder offers us the most benefit – and man were we pleasantly surprised! Does MCT Oil Powder Promote Weight Loss? As MCTs are immediately broken down for energy by the liver, their consumption has been shown to increase the rate at which the body metabolises fat for energy. This has also been shown to come with an associated increase in energy expenditure, irrespective of exercise. Additionally, the consumption of MCTs has also been shown to increase satiety and enhance sensations of fullness – resulting in significantly less food and energy consumption throughout the day. Through a combination of these mechanisms, MCT oil powder offers a potent way to enhance weight loss – which is likely improved even further when combined with exercise. Does MCT Oil Powder Improve Exercise Performance? The regular supplementation of MCTs for as little as 2 weeks duration has been shown to cause significant increases in endurance exercise performance in recreational athletes. This was demonstrated as slower fatigue during high intensity exercise, with a higher quality of work maintained throughout the session. This suggests that supplementing with MCT Oil Powder before competition may increase endurance and stave off fatigue. Does MCT Oil Powder Improve Blood Cholesterol? Through their impact on fat metabolism, it appears that supplementing with MCT oil powder can also have a positive impact on blood cholesterol levels. In fact, supplementing with MCTs has been shown to lower levels of LDL cholesterol (or ‘bad’ cholesterol) in the blood, while causing a subsequent increase in HDL (or ‘good’) cholesterol. Does MCT Oil Powder Help With Diabetes? While the exact mechanism remains somewhat unclear, there is evidence demonstrating that the supplementation of MCTs can cause significant reduction in blood sugar levels, while also enhancing the body’s sensitivity to the hormone insulin. Through these two key mechanism, MCT oil powder can have a positive impact on metabolic health, helping with diabetes in a very positive manner. Does MCT Oil Powder Help the Brain? And finally, as the supplementation of MCT oil power results in the increased secretion of ketones, it also has a positive impact on the brain. You see, the supplementation of MCTs has been shown to improve learning and memory, while also assisting in the treatment of Alzheimer’s disease. This is thought to be due to the fact that the brain is actually more efficient when using ketones for energy (rather than glucose). Considering the amazingly positive effects of supplementing with MCT oil powder, we wanted to give you some great options that you can begin to use immediately. 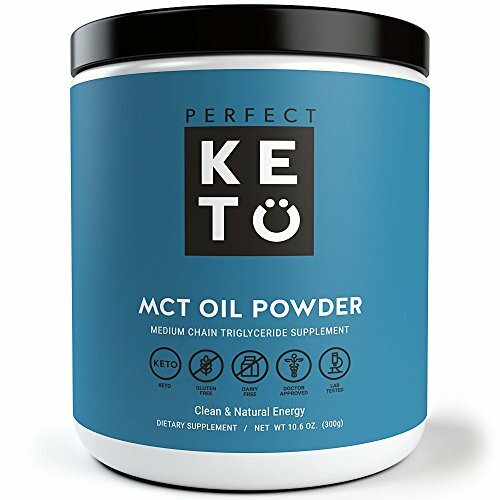 When it comes to MCT oil powder, it’s really hard to look past this fantastic option by Keto Zone. 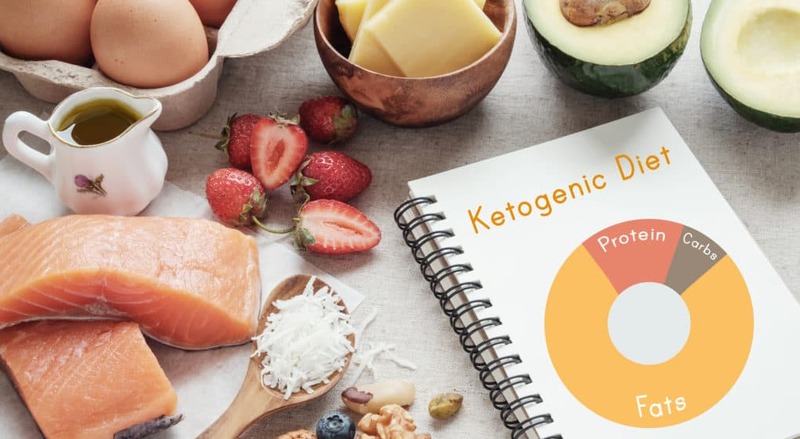 Using some of the best quality production processes on the planet, this is the perfect product to get you into ketosis quickly. Not to mention the fact that it comes in a delicious coconut cream flavour that mixes perfectly with literally any beverage. You can’t go wrong with this. Our first option by ZHOU is one of the most popular on the market, where it has been applauded for its delicious creamy taste. This particular product also contains an effective prebiotic fibre that enhances digestive capabilities, further improving its effectiveness as an MCT supplement. 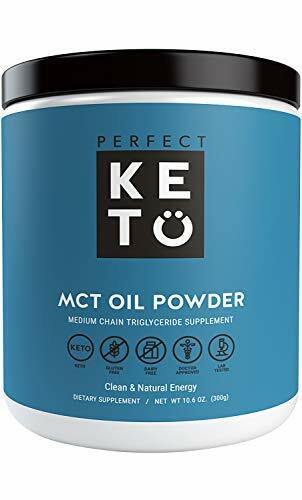 Perfect Keto are often considered the premier ketogenic style supplements – and their MCT oil powder is the perfect example as to why. Using the highest quality ingredients, this is the perfect option for those who don’t want any fillers or preservatives. Our final option by Viva Naturals is hands down the most popular on the market. Produced using the highest quality MCTs it offers everything you need to boost health, function, and performance, as quickly as possible. You really can’t go wrong here. 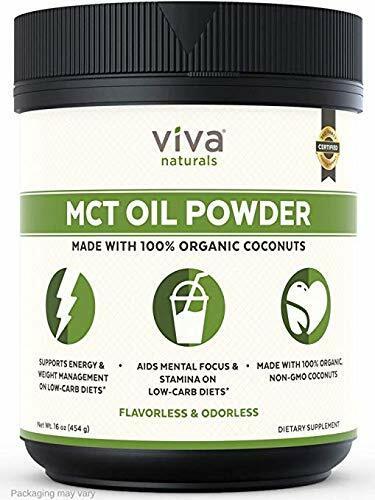 While there is currently no recommended dosage for MCT Oil Powder, it appears that servings of anywhere between 2 and 14 grams of pure MCT is enough to elicit a positive response within the body. With this in mind, we strongly recommend you start your first week at 2-4 grams per day, and slowly increase by 2 grams per week until you are at a dosage of around 10 grams per day. This amount should be enough to reap all the rewards of your MCT oil powder. Does MCT Oil Powder Have any Side Effects? MCT oil powder is extremely safe for the vast majority of the population. However in some individuals with extremely sensitive stomachs they may still cause irritability, nausea and stomach discomfort. If you find yourself experiencing any of these symptoms after supplementation, we recommend you cease consumption immediately. Additionally, not enough is known about the use of MCTs during pregnancy or during times of breast-feeding. As a result, we would recommend you err on the side of caution and avoid supplementation during these times. And finally, as MCTs are processed almost entirely by the liver, they can cause serious problems in people with liver disease. This is the result of too much load being placed on the liver, which can result in its failure. As a result, we recommend that you do not use MCT oil powder if you have cirrhosis or other liver problems. Talk about a potent health boosting supplement. With the ability to promote weight loss, enhance athletic performance, improve cognitive function, improve blood cholesterol, and help prevent diabetes, MCT oil powder is one the most bang for your buck compounds on the planet. As always, if you have had any experiencing using MCT oil powder then we would love to hear about it, so drop us a comment and we will get back to you ASAP.